If you have never been the recipient of a tarot card reading or tarot card spreads then you may wonder what the spread consists of. You may not even be aware of the different spreads that are available for you to have your questions answered. There are a variety of layouts reading tarot cards that make up a spread. There are layout or spreads that will show the future and also others which will offer more in depth information for the quitrent. There are even tarot card spreads that will be faster should someone choose to use the same reader time and time again. Even though there are many different spreads that can be created with the tarot spreads, many tarot readings as well as though having their cards read choose to use more popular ones such as the Celtic Cross. Astrological spreads, three card spreads and also the Horse Shoe are also among the most popular today. Before the reading starts the reader will ask the person who is having the reading done to concentrate on their question that way the reading can assist you with answering your question. The Celtic cross spread uses ten cards five of which are formed like a cross and four are in a vertical row along the side of the cross. The tenth card is then laid horizontally across the central card of the cross. The tenth card will do primarily with the question the person having the reading done was focusing on. This can also be an answer to a question they have not thought to ask of in regards to their silent question. Next is the Horse Shoe in which the person that is having their reading done is also able to have a question answered. For this tarot card spread seven cards are used and they are arranged in a semi circle or a V shape. The cards are then read by the tarot reader going from left o right. The cards will tell of the past, the present with any influences, obstacles, expectations, hopes and fears of the person having the reading done. The last of the cards will offer the person having the reading done a solution or advice in regards to their question. The Astrological spread and is popular with those who keep up with their horoscope and their sign. This tarot card spread uses, of course, twelve cards which symbolize each astrological sign. Typically the reader will choose to start the reading either at the client’s astrological sign or they may choose to start with the sign of the day of the reading. This is a great spread for mapping out your next year. 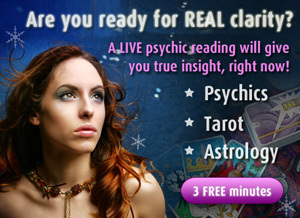 Tarot card spreads are easy to understand from a person having a reading done. It is a good idea to ask the reader what spreads they offer and then choose the one that is best suited for your needs. Enjoy! Lovely tips to care for..
Can I call you back? just checking for true predictions..